Printing posters at home can be challenging because many people do not have printers that are capable of printing large pieces of paper. In fact, most consumer grade printers handle only 8.5" x 11" or smaller paper, leaving users with a challenging situation when it comes time to print a poster. The tips for printing posters at home listed here can help. Designers do not necessarily need a special program for designing their posters at home, although some poster printing applications are available. For the most part, any graphics program, including Adobe Photoshop or Illustrator can be used for this purpose. Adobe Illustrator is a good program to use to print posters at home because it has built-in functionality that allows users to print tiled 8.5" x 11" pages that can be assembled as a larger poster. 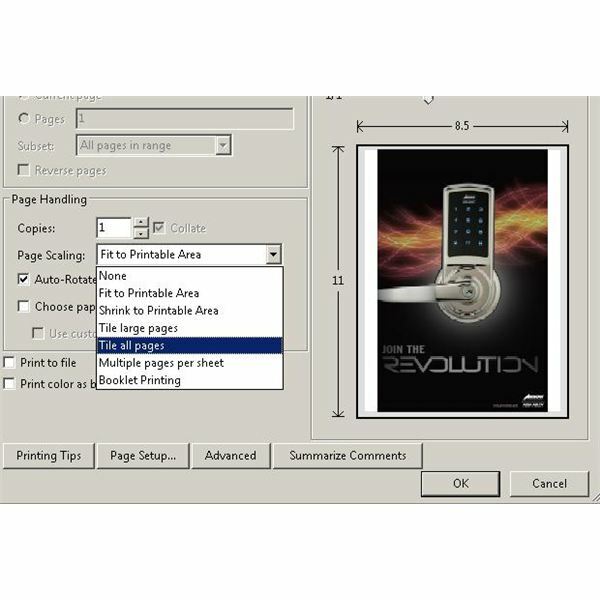 To do this, users should open Illustrator CS5 and create a new document that matches the size of the desired poster. 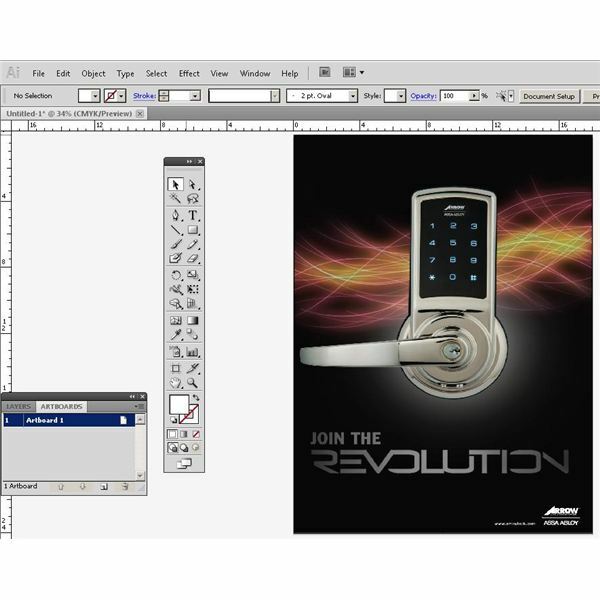 Next, users can either create their poster design using Illustrator or place an image that was created in a different program like Photoshop. 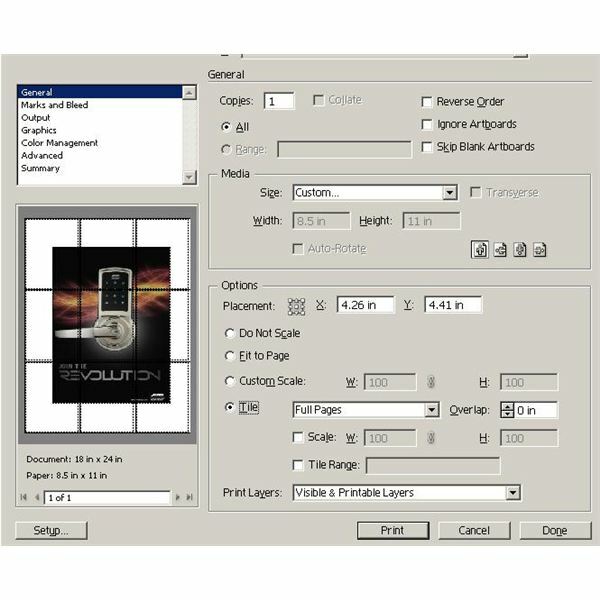 When it's time to print, users can choose tiled printing from the print settings screen to allow the program to break up the poster's image into several sheets of letter-size paper. After selecting the option to tile the output, users can click on the "setup" button at the lower left corner of the print setup dialog to "Tile all pages" as shown below. When the printout is complete, users can cobble the pieces of poster paper together using tape or glue to form a large image that could never have otherwise been printed at home. Using PowerPoint for designing posters is convenient because many users have the software installed on their computers and are reasonably familiar with its use. To make a poster in PowerPoint, users should create a new document, set a page size for the size of the desired poster. If the program protests saying that the document size is not supported by the printer, just click OK and continue. This should result in a page on the screen with the proper dimensions. Now, users can design their unique posters, as they would any PowerPoint slide. To preview their poster, they can choose the "fit to page" print option. Unfortunately, PowerPoint does not have a tiled print option, so users may have to print their poster to a PDF file and then print it using the tiled output functions of Adobe Acrobat Professional. If a user cannot output their poster to a program that can print posters in tiled output, they can always choose a Web-based or remote printing option or manually transport their finished file to a local print shop in order to get the poster put in hard copy. Resources on the web offer home designers valuable tools that can help them get posters printed. 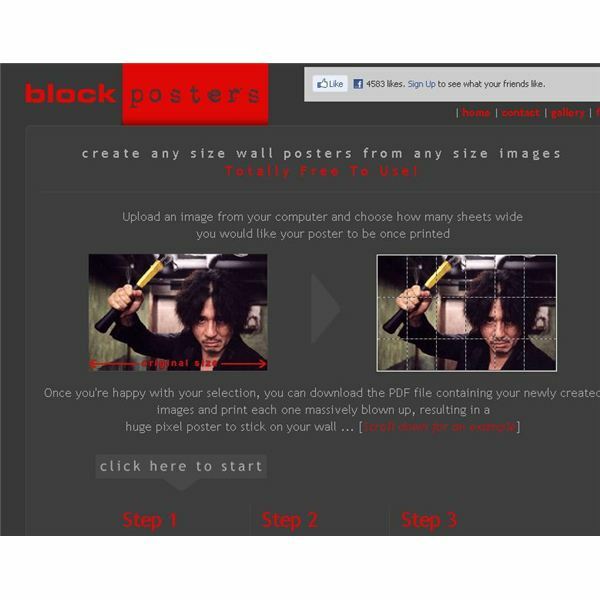 For example, Blockposters.com is a free site that allows users to upload their images and then select the size they desire for their final product. Once all options are selected, users can then print their posters directly from their web browser. The output will then print in the form of 8.5" x 11" pages that can be assembled together to form posters of virtually any size. For cases where assembling pages together to form a large poster is not a workable approach, higher quality printing options are also available online. 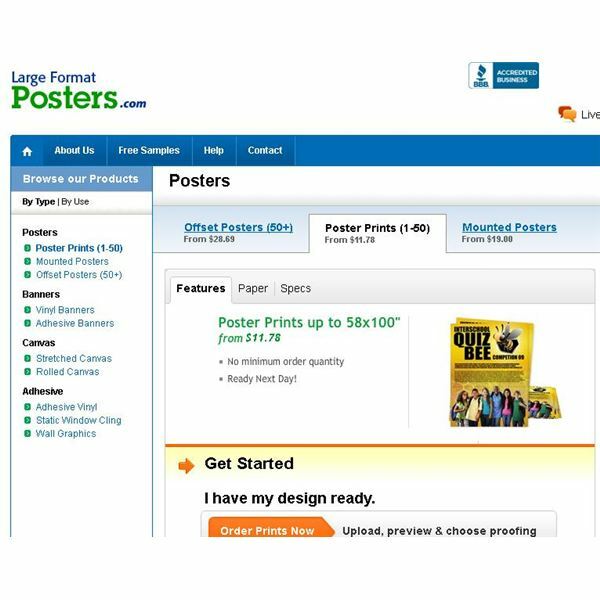 Services like LargeFormatPosers.com allows users to upload their poster designs which then can be printed in sizes of up to 58" x 100" and then mailed directly to the designer's home. The Web sites mentioned here are for illustration purposes only and are not recommended by the author. Many online resources are available that are similar to the ones mentioned here. Readers should be cautioned to shop around for the prices and services that best meet their needs. The tips for printing posters at home listed here can help readers get their posters printed today.